Chiquita Brands International, Inc. has lost a case in U.S. District Court in which it attempted to block the Securities and Exchange Commission (SEC) from releasing documents relating to its payments to a Colombian terrorist group. These documents have been sought from the SEC by the National Security Archive under the Freedom of Information Act. 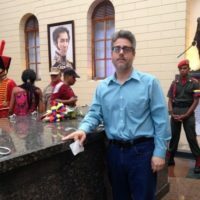 As Michael Evans of the National Security Archive explains, the documents being sought will hopefully reveal, as some other Chiquita documents in the past, that Chiquita’s claims that it paid the United Self Defense Forces (AUC) paramilitaries merely because it was being extorted to do so are not true. In a 1994 memo, the general manager of Chiquita operations in Turbó admitted that guerrillas were “used to supply security personnel at the various farms.” Company lawyers were understandably concerned. Evans hopes that more such revelations will be discovered in the yet unreleased documents the National Security Archive is seeking. Quite possibly, the documents might also show that Chiquita continued to funnel payments to the AUC through a closely-related corporate entity for a longer period than hitherto believed. Indeed, this is the conclusion reached by a recent report by Colombia’s Interchurch Justice and Peace Commission (IJCP). In this report, the IJCP focuses on a company known as Banacol which succeeded Banadex, the former subsidiary of Chiquita which pled guilty to paying paramilitary death squads $1.7 million between 1997 and 2004, and supplying them with 3,000 AK-47s. Chiquita put forward a ‘sales’ operation of the questionable Banadex to the transnational Banacol Marketing Corporation at a far below market price (fire sale). 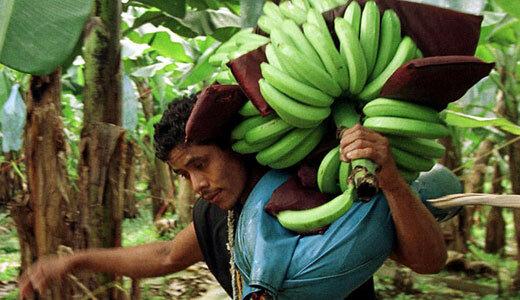 Banadex, a subsidiary of Chiquita that has worked in Colombia since 1989, was transferred to Banacol (Banacol Marking Corp. SA based in Panama), in the year 2004, just when the United States Justice Department gave notice of its investigations. Citing former AUC paramilitary leader Salvatore Mancuso, IJCP explains that other companies, including Dole and Del Monte, also financed the paramilitary groups that continue to plague the Colombian countryside. Paramilitaries, with the complicity and lack of action by the [U.S.-backed] 17th Brigade and Uraba Police, assassinate, disappear, torture and displace local inhabitants, while claiming to fight the guerilla. Businessmen associated with these criminal structures appropriate the territories that traditionally belong to the Afro-descendant communities; authorities at the service of the businessmen try to legalize this fraudulent land-grab; and the national government supports more than 95 percent of the illegal investment. This leads to oil palm agribusiness being implemented on the ruins of the communities’ homes, cemeteries and communal areas. It provides the foundation for large-scale cattle ranching and transnational plantain, banana, pineapple and cassava production, which are all increasing at the hands of the paramilitaries. These violent structures see the opportunity to expand the agricultural production onto the high quality soil, which will gradually replace the depleted soils of Antioquian Uraba. The paramilitaries also see the opportunity in these territories due to their demonstrated reserves of gold, copper, molybdenum and other minerals and for the opportunities to construct infrastructure for exportation. The documents which the SEC will hopefully produce after Chiquita’s recent court loss will probably reveal even more about the nature, extent and duration of Chiquita’s support for right-wing death squads in Colombia. It is little wonder, then, that Chiquita has been fighting so hard to keep these documents from public view.